I have recently discovered the powerful impact of paper pom-poms! They are a chic & festive way to add big, color and a personalized, DIY touch to any special occasion. 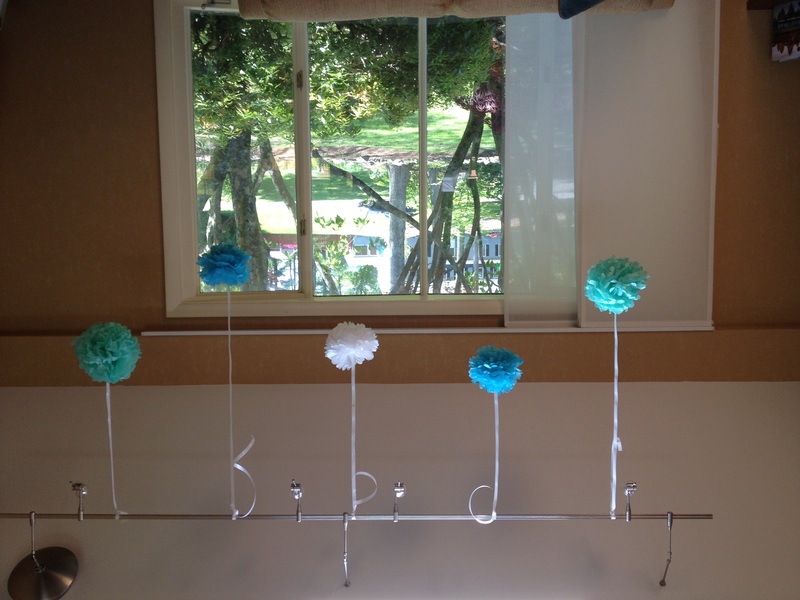 Along with my fellow crafty bridesmaids, we assembled the white and blue pom-poms (pictured to the right) for one of my best friend’s bridal shower. Where did I find these spectacular pieces you may ask?….. I ordered them from Martha Stewart of course. So if you are looking for a fun way to punch up your next gathering….POM-POM away! And for more pom-pom inspiration check out my pom-pom decor pin board on pinterest. Posted in Something BlueTagged DIY, events, weddingsBookmark the permalink.